Finding housing in Copenhagen can be challenging, especially for Danes entering college–looking to live on their own and become more independent by not living at home during their studies. 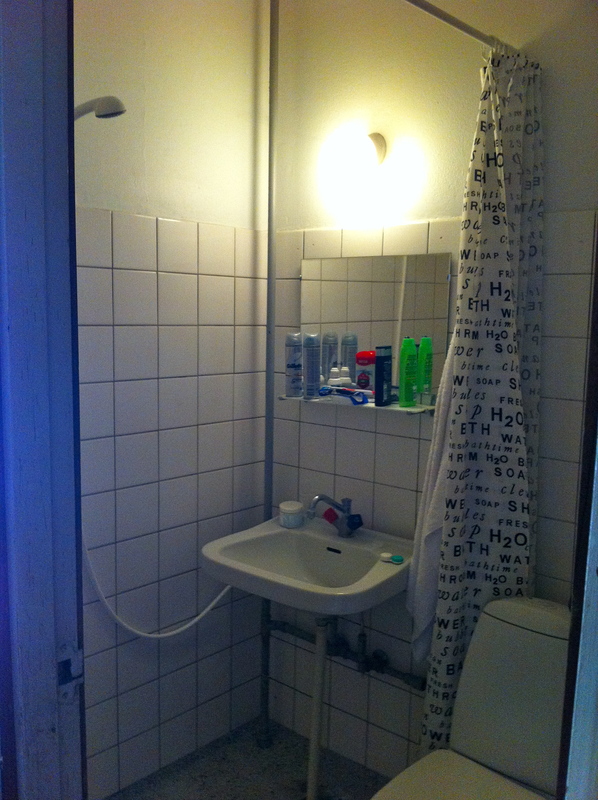 Because the major universities in Copenhagen don’t (usually) provide housing for their students, Danes and other international students must look elsewhere for lodging. This may sound shocking to many American university students–who are used to having housing included in tuition. Additionally, living on a college campus fosters a certain type of communalism among the students, who both attend classes together and live together. However, since education in Denmark is entirely subsidized by tax-payer money, Danish students do not pay a dime to get a degree–and thus, the universities see little obligation to provide enrolled students with housing options. With housing options limited to otherwise apartments, Danes and other international students enter into lotteries to get into the closest thing to a college dorm. I’m referring to a Kollegium. I was fortunate enough to have DIS place me in my own housing (my first choice was a Kollegium) because waiting lists to get into Kollegiums all over the Copenhagen metro-area fill up rather quickly. What is this Kollegium, you may ask? It’s pretty much the closest thing to a community dorm in the United States: each floor has a hallway with individual rooms lined up and down the hallway. 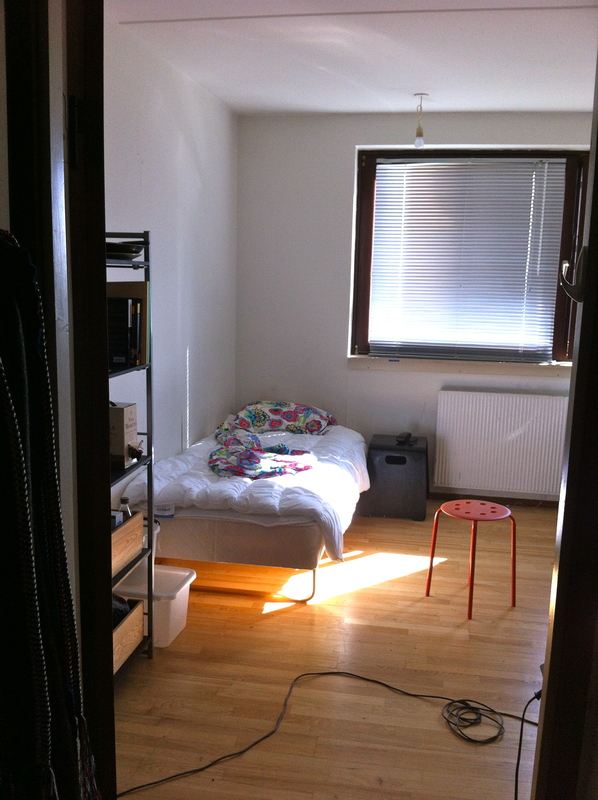 Though the layouts of Kollegiums vary depending on their design, there are certain features similar in traditional Kollegiums that contrast starkly to dorms in the U.S. Firstly, any student attending a university in Copenhagen can apply to live in one of the Kollegiums scattered across the suburbs of Copenhagen. 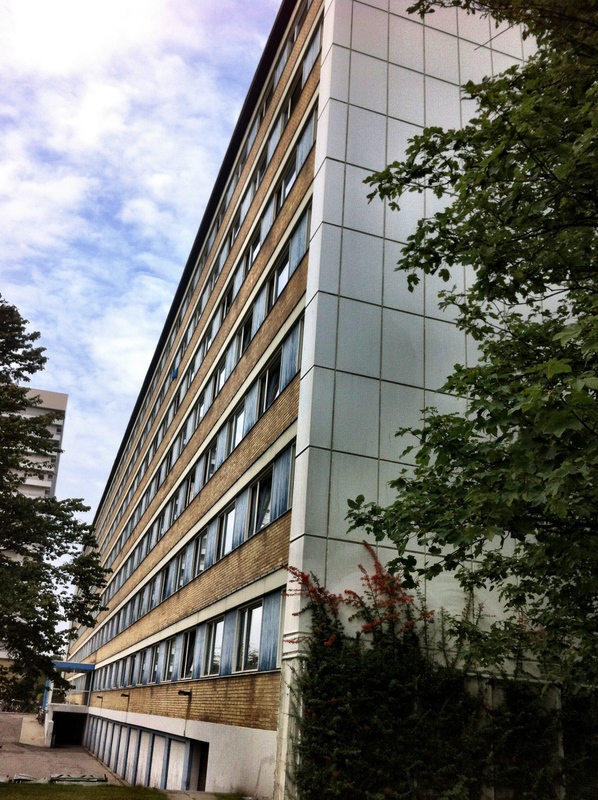 The Danish students in my Kollegium (located in the suburb Hvidovre–the pronunciation is almost impossible for any English speaker), for example, attend a variety of universities in Copenhagen. 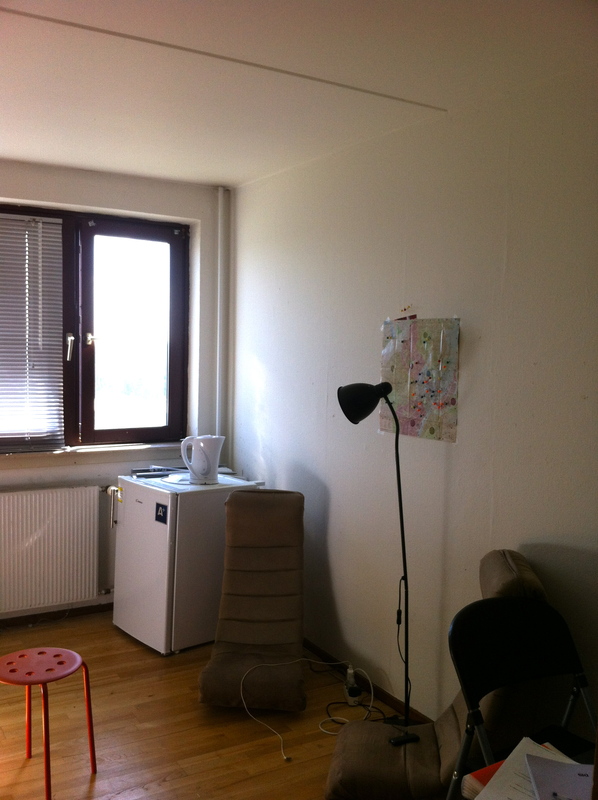 In addition, other international students (mostly European) studying in Copenhagen live in the dorm alongside 8 other students from my program. All the rooms in my Kollegiums are single bedrooms that came fully furnished with our own individual bathrooms. The rooms were definitely much spacier and generally more welcoming and pleasant than I had anticipated, but the bathrooms have been difficult to navigate. For example, a shower cap in my bathroom is attached to the sink, which is divided from the rest of the tiny bathroom by a flimsy curtain. It has been difficult to maneuver around the bathroom because of this shower-sink apparatus (or “shwink” as I prefer to call it). Here it is pictured below, alongside other photos of my rooms (the flower print duvet covers and pillowcase came furnished with the room, in case you were questioning my aesthetic choices for room decor). Another major difference is the kitchen at the end of every hallway, which is shared by all the students living in a specific floor. I share my kitchen with about 15 other students that live on my floor. 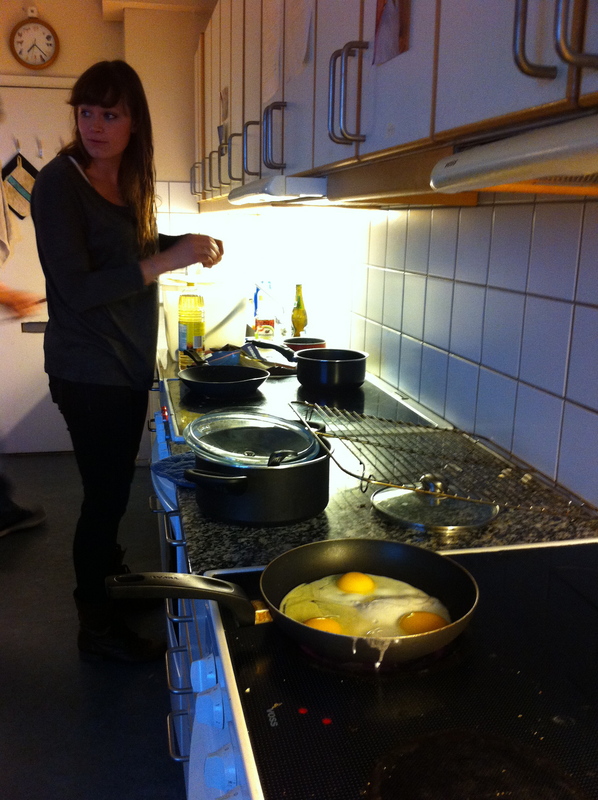 Though intimidating at first, cooking has proven to be an incredibly fun process that has allowed me to bond with the other people from my program and to meet the Danes living in the Kollegium. I would say that my cooking currently rides on the “experimental” side (a.k.a. more errors than successes), but I’m getting better with the more recipes I pick up from the locals and from my friends that cook with me. 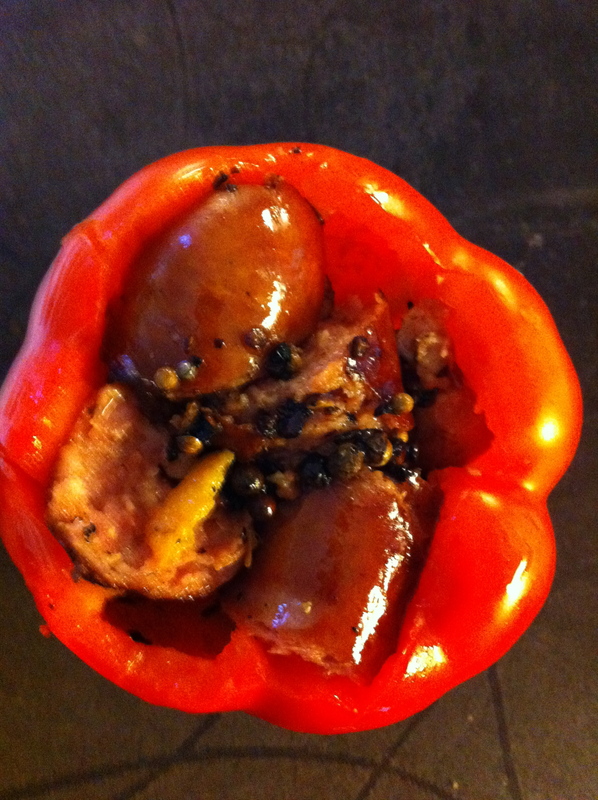 Here’s a picture of a traditional Danish sausage I cooked and then shoved into a red pepper. 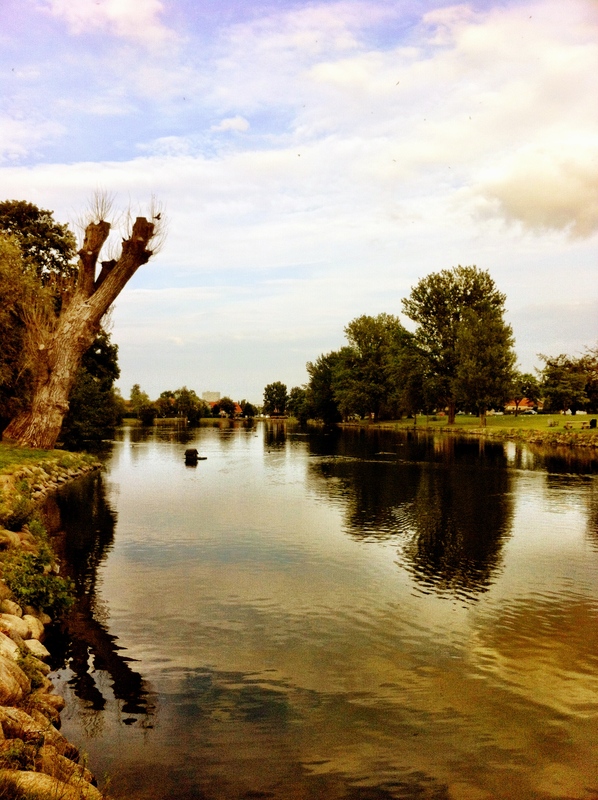 Hvidovre (the suburb where my Kollegium is located) has taken me by surprise as well. I honestly was not expecting much from this town from the very limited information I picked up from a google maps search of the area, but it is truly a quaint suburb. 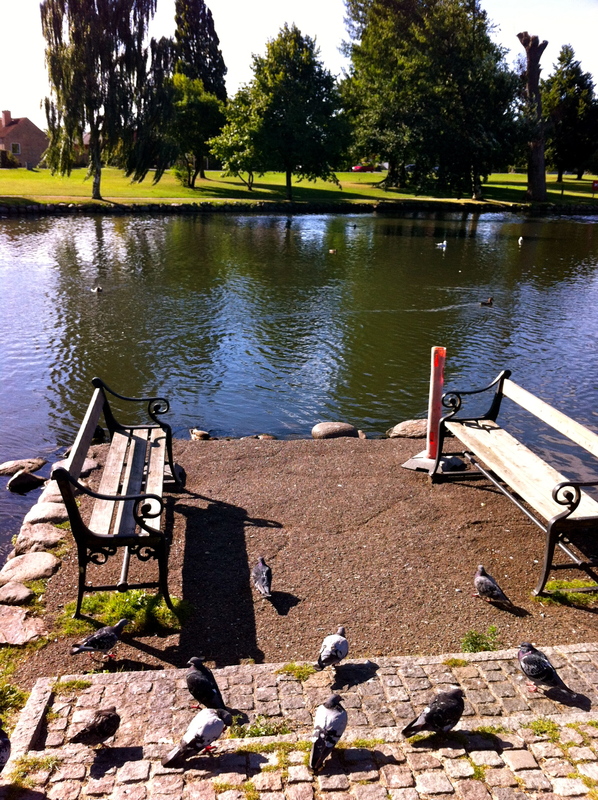 Lakes and green parks attract the local wildlife (ducks mainly) and families to frequent the outdoors–especially in the summer months (I may change my mind about the greenery when winter strikes). A lake and a beautiful park located right next to my Kollegium have served as my jogging route, which currently takes me through a national forest that lies just a block away. Students forge excellent bonds with one another in the Kollegium to make up for the lack of community interactions at universities with on-campus housing. In my Kollegium, a bar operated entirely by volunteers from the Kollegium opens every Saturday, giving students in the Kollegium a chance to meet one another and socialize as a group for the evening. 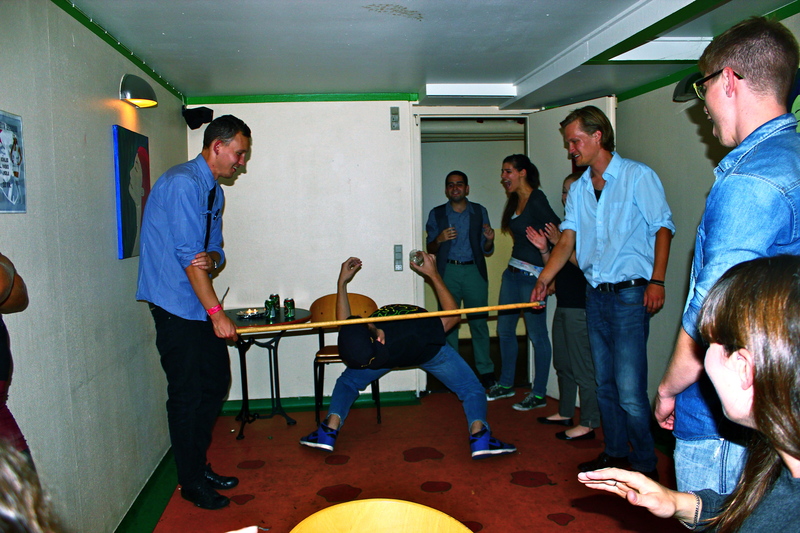 The atmosphere of this Kollegium bar has incredibly upbeat, complete with dance-offs and limbo games. Though I was a little hesitant to accept being content living 25 minutes outside of the city at first, living at Rebæk Søpark Kollegiet will definitely be the most memorable part of my time in Denmark.